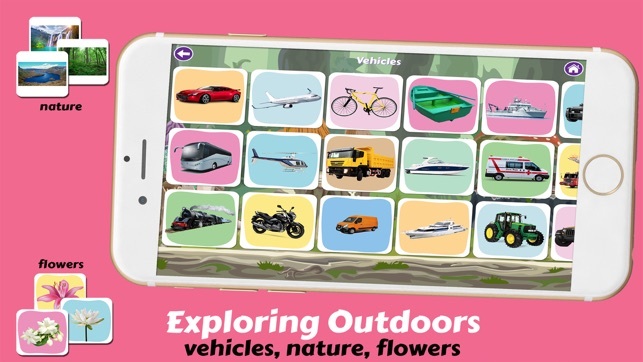 This preschool game contains 36 various categories of 850+ things (objects), that a toddler need to learn it's name at Preschool. 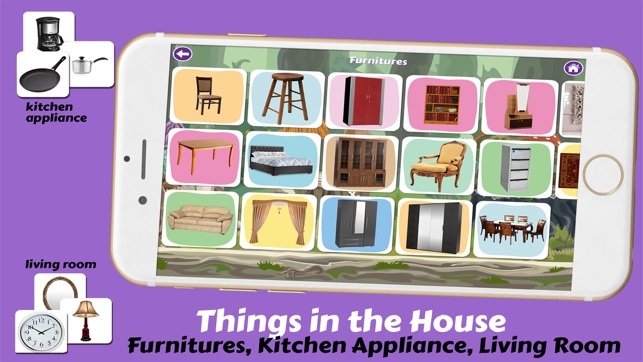 These categories include Alphabets, Numbers, Colors, Shapes, Body Parts, Clothes, Furnitures, Electronics, Vehicles, Foods, Fruits, Flowers, all kinds of Animals and many more. A toddler’s brain needs a stimulating environment in which it can develop. Through their daily activities and explorations, toddlers satisfy their curiosities. Toddlers have the most dynamic curiosity that helps them learn about the new things. Parents need to create a healthy and engaging environment so that toddlers can develop their cognitive skills. Since most toddlers learn through play, our teachers and educational experts designed this preschool games for kids to learn new things quickly and efficiently. You can track your toddlers learning inside the game. Convince your toddler to unlock the locked levels by playing it more. 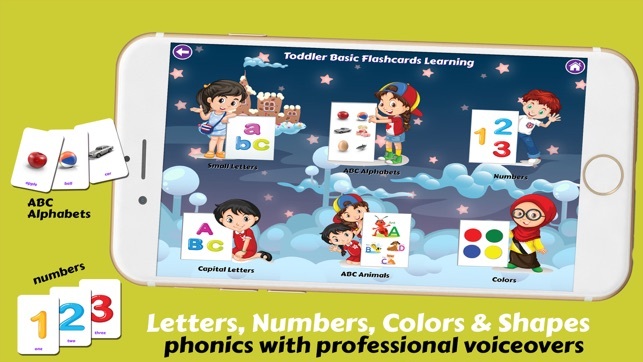 After finishing the learning, you can measure your toddlers memory development, attention power and imagination improvements by playing the picture quiz and super picture quiz games. Please participate in the quiz games with your toddler so that s/he will get more interest in playing the game. 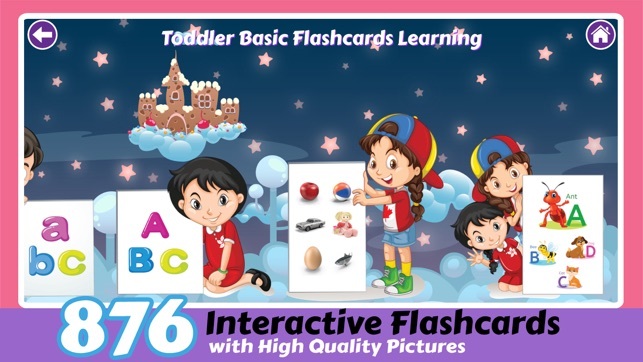 "My 4 and 18-month old grandchildren love the flashcards collection. My grandsons has been played the matching game a lot. He shows more concentration, and is starting to sound out the letters, numbers, vehicles, fruits, flowers, animals. best collection. Love it!" "My 3 year old daughter play with this game only. This game designer really gets it. The right amount of time and attention for a 3 or 4 year old. They learn a lot and with no frustration! 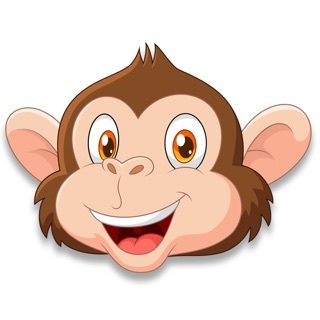 This is the best preschool learning app I think." Provide constructive screen time to your Kids by playing this parent’s recommended preschool games. Happy Parenting! - Learning Alphabets, Letters, Numbers, Colors, Shapes, Body Parts, Clothes, Vehicles Name, Foods, Fruits, all kinds of Animals, Birds and many more. Absolutely fabulous, suitable for all ages. My kids goes crazy for it. It is challenging enough to keep kids interested in. Besides being entertained, kids can develop their mind while playing this preschool active games. This game is engaging and educational so I don't feel guilty leaving my kids alone with it for some time while I get some work done. Great learning for preschoolers!!! Of all kids learning apps for preschoolers. I would recommend this. 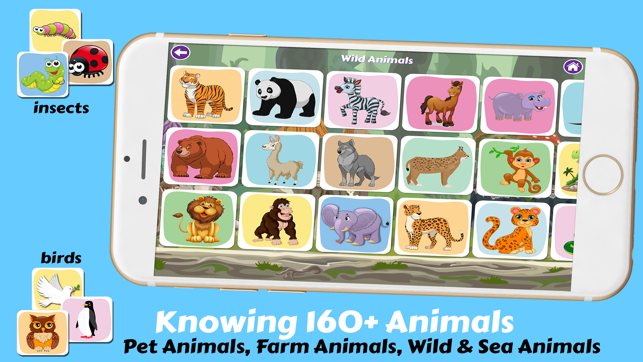 There is a variety learning for preschoolers within this app, each targeting different learning skill. 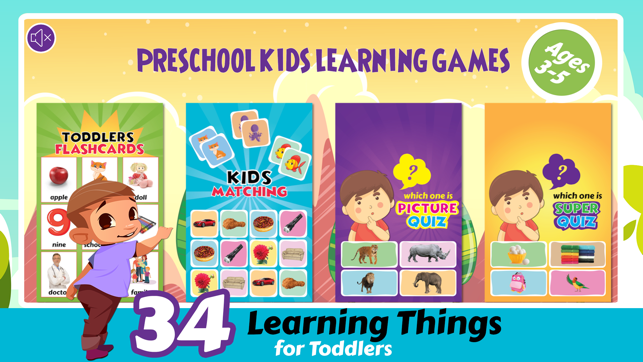 Learning through this pre k learning games helps kids to endorse creativity. 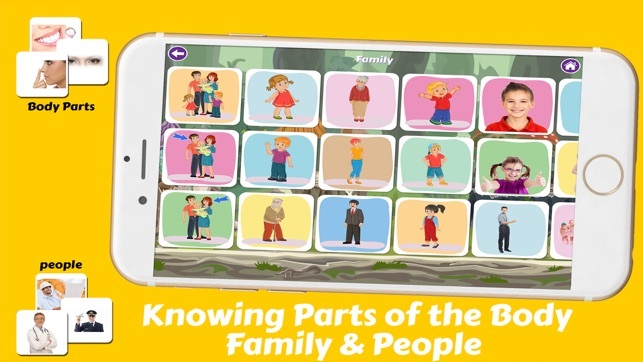 In this app, IQ integration fosters kids thinking level to develop their minds. I see my kid loves this matching game so much . After school he often opens to play this kind of preschool games. I know he likes matching games and this game is just like created for him. He can plays it hours and hours. 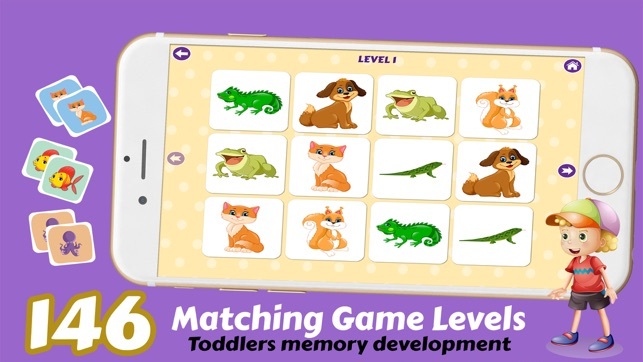 Highly recommended this matching games for preschool.